The traditional first wedding anniversary gift is paper. 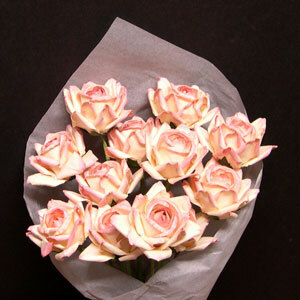 So a dozen pink paper roses make a natural first anniversary gift! See our full selection of 1st Anniversary Gifts.